another friend who was at the trial provides a few more illuminating thoughts and points re: the scientist case. 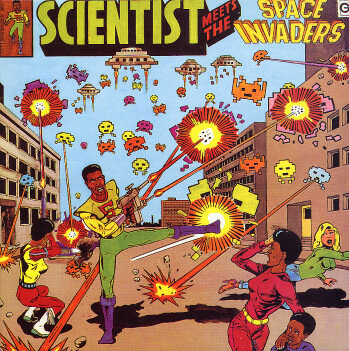 first, he confirms that scientist didn't lose the case on the basis of the issue of the originality of dub music. no, that originality, apparently, was established conclusively--which i think we can all agree is a good and reasonable decision. rather, scientist lost on the basis of who owns the rights to the music, and the court decided those rights rest with the producer. this is not surprising, considering that that's the way it has always been in jamaican music. also, apparently jammy testified about the business arrangements at tubby's studio. and because jammy was higher on the business chain than scientist at tubby's, his testimony carried some real weight. as an engineer mixing dub versions, scientist was (in jamaican music-industry terms) really no different than a singer or studio instrumentalist--neither of which currently have substantial claims on music in JA. finally, if scientist had won the case, it would have forced a serious reorganization of the entire jamaican music industry. all of the creators of "version-based" music (engineers, DJs, etc.) would now have claims against producers. this last point is definitely the one that i'm most interested in, though i think it's fair to point out that these arrangements in the jamaican music-industry are not very different from those in the american music-industy. i'm not sure why instrumentalists, DJs, vocalists, and engineers haven't staked a stronger claim to the music they helped produce. so often, there is little to negotiate in these matters, though, as a daily wage and the opportunity to succeed are enough to tempt one to submit to business-as-usual. even so, this doesn't mean that the status quo should stay so. when it comes down to it, this is just another case of those with capital exploiting the labor of others. i hope that someday a case will come along and challenge the current system so that the proceeds of such amazing music can be shared more equally. obviously, this is tricky business, but it's not rocket science. let's leave the rocket science to the scientists (and afro-futurist musicians) and establish some fairer business practices.